The MNA Community Room will be closed to allow the Friends time to arrange the books for sale. Babies age birth - 2 yrs are invited to join us with their grown up for some Jump for Joy fun! Sing, dance, learn, and play with musical instruments, parachutes, puppets, and props! The Friends of the Locust Valley Library invite everyone to the preview party. Shop for bargains and enjoy some refreshments, too. All proceeds go directly to Locust Valley Library. The Friends of the Locust Valley Library invite everyone to have fun shopping for books and support the library. The Friends of the Locust Valley Library invite everyone to shop for books and support the library. Free Beginner ESL (English as a Second Language) classes on Tuesday evenings at the library. Registration is required. Please call 516-671-1837 to register and for more information, or just come in. Ask for Paola Diaz. Join certified teacher Nancy Chin on Wednesdays at the library for Tai Chi. Registration and fee required. 10 sessions, $50. Fee is due prior to the first class and payable at the Main Desk. The Friends of the Locust Valley Library will meet at this time to discuss business and future agenda. All welcome! Everyone is welcome to join Locust Valley Library's long-running and unique Great Books discussion. See Jennifer at the Reference Desk for a copy of the book. Come join yoga with Morgan Rose. 10 sessions, $40. Registration and fee are required. Registration is open for Locust Valley residents. Non-resident registration begins January 31. Fee is due prior to the first class. Join us for the second CATS meeting of year! Earn community community service credit and make a difference at your library! CATs is a group of teens who participate in and influence the funcitoning of the librlary, specifically the Teen Room, teen programming, and collection materials. Free Intermediate ESL (English as a Second Language) classes on Thursdays evenings at the library. Registration is required. Please call 516-671-1837 to register and for more information, or just come in. Ask for Paola Diaz. Cornell University Cooperative Extension Nassau County will conduct a series of 9 classes starting April 4 through June 5. Participants will learn how to prepare healthy foods,read food labels,cut back on foods high in solid fats,added sugars,and salt,eat the right amount of calories,and be physically active,participants will receive a certificate of completition at the last class. This classes will be conducted in Spanish. Come dance yourself into shape with Carol. Exercise and lose inches while having fun. No dance experience needed. This class is designed for everyone. Participants of any fitness level, and background, or any age can start to Dancercise. No special attire needed. Just wear sneakers and bring a bottle of water. Be prepared to have a happy time! Registration and fee required. 10 sessions, $50.00. Please make payment at Main Desk. Paintings for Peace prepared by the children of the Locust Valley Schools will be exhibited in honor of all Veterans for the month of May. Pop in Clinic Lessons with Tennis Pro. Steve Abbondondelo. 4-6 players only. Registration is required and a $10 dollar fee per player to join. In case of cancelations or questions please call Steve at 516-822-9587 or 516-457-4974. Registration and fee are required. Registration is open for Locust Valley residents. Non-resident registration begins Feb. 1. Fee is due prior to the first class. Bring your friends and enjoy the Community Room to meet and play games. A variety of games are available at the Library or bring your own sets. Registration and fee required. Registration is open for Locust Valley residents. Non-resident registration begins January 28. Fee is due prior to the first class. The library will be closed in the morning for a staff meeting. We willl open at 1:00 PM. The benefits of coloring are similar to meditation. Experts suggest that coloring may reduce stress and improve creativity and attention span. Join us on the first Tuesday of every month starting May 6 through Oct 1. Refreshments will be served. Presented by Northwell Health of Glen Cove. Join Dr. Barbara Keber, a practicing family physician for over 35 years and currently Vice Chair for Family Medicine at Northwell Health Glen Cove, as she brings her vast knowledge and expertise to everything you need to know about the vaccination debate. Come to the Library to discuss interesting books in a relaxed atmosphere. New members are always welcome! Books are available at the Adult Circulation Desk. For more information call the Library at 671-1837. Valley Quilters and Knitters meet on the first and third Wednesday of each month. Bring a project or come for ideas. Experts may be on hand to help beginners get started. All welcome. GET HAPPY, GET A HOBBY! Join us for a Thursday afternoon movie at the Library. Movies are shown twice a month at 1:00 PM in the Community Room. All are welcome. This week's movie is starring . It's x hrs, x mins. long and rated . For more information, please call the Library at 671-1837. Document your child’s vital statistics, fingerprints, and picture with law enforcement for use in the event your child goes missing. Learn how these records can assist Amber Alerts and LOCATOR programs to find missing persons. Obtain a free Child ID with your child’s name, photo, biographical information and fingerprints for your family to take home. Children are invited to drop in between the hours of 3:30 and 4:30 PM to create a special gift for Mother’s Day! Learn to care for children from two registered nurse instructors. Bring a doll to learn diapering. Certificates will be presented to all taking the course. Limited space - registration is a must! This workshop will be held at Glen Cove Library. ~~Please join us at our monthly Board Meeting. The shredding company, A Shred Away, Inc., will have a truck parked in the lower parking field to shred your unwanted papers/documents. Each person is allowed to bring up to 3 boxes of material to shred. This free service is on a first-come, first-served basis. Join Miss Lauren and your library friends for songs, stories, and fun! Registration and fee required. Registration is open for Locust Valley residents. Fee is due prior to the first class. The Locust Valley Library Historical Society Annual Meeting is open to the public. No registration needed, everyone is welcomed. Join us for an educational program with official Beekeeper of eight years Gerald Raffa. The presentation will inform you of the importance of bees, their daily life living in a colony, and much more. This program is an informal and open group for local teens, for an open discussion, which will include coaching, mentoring, guidance and support for prepping for life during and after high school, whether it be college, trade school, or something else. An example of some of the topics for discussion will be: social anxiety and pressures, developing healthy communication skills, setting healthy boundaries for yourself, finding your passions, goal setting, and removing obstacles that are getting in the way of reaching your goals. All welcome to this free program. Registration is requested. You can register and make payments at main desk. 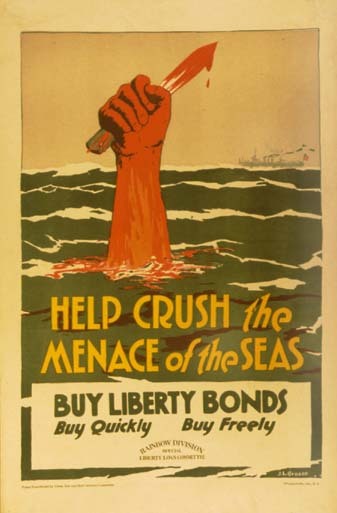 "US Propaganda in World War I"
Join us into a look at WWI propaganda with a power point presentation lectured by retired American History teacher Don Parker. This event is open to the public. Please register either at the main desk or online. Join us for this Locust Valley Film Club event! These screenings are of independent, foreign and award-winning films that inspire thought-provoking conversation and an appreciation of the cinema arts. With an introduction and notes on the film by our librarian Peter Barell. For cinephiles and movie-newbies alike! The film is Whiplash (2014) directed by Damien Chazelle. The film is 106 minutes and is rated R.
Registration and fee are required. Registration is open for Locust Valley residents. Non-resident registration begins May 6th. Fee is due prior to the first class. Teens and preteens welcome! Come play a selection of videogames on our PS4 system in the Teen area. Preference given to co-op play* with time limitations determined by the amount of players. Games include Dragon Ball FighterZ, FIFA 16, Kingdom Hearts III and Street Fighter V.
Art Lecturer Ines Powell will present the program Toulouse-Lautrec and the Stars of Paris, an exhibition at The Boston Museum of Fine Arts, April 6-August 4, 2019. Henri de Toulouse-Lautrec (1864-1901) captured the spectacle of modern Paris in evocative posters, prints and paintings. This exhibition explores his depictions of the stars and entertainments of Montmartre, a neighborhood of heady bohemian pleasure. Thematic sections highlight Toulouse-Lautrec's formal innovations and the changing artistic and social landscapes of Paris, showcasing scenes of the city by day and night; cafes, cabarets and theaters; and celebrities of the age. The display also incorporates works by Toulouse-Lautrec's contemporaries Edgar Degas, Honore Daumier, Pierre Bonnard, Edouard Vuillard and others-presenting him in the context of his heroes, peers and followers. Organized by the MFA in partnership with the Boston Public Library, the exhibition draws on both institutions' rich holdings of graphic works by the artist, who is often described as embodying the spirit of "modern freedom." This free program is sponsored by the Friends of the Locust Valley Library. Registration requested. All welcome! We invite library patrons to march with us in the Memorial Day Parade. Contact Kathy Smith at ksmith@locustvalleylibrary.org for more information. Jeanine Briefel Student Piano Recital. We are delighted to have the artworks of two local artists, Stephanie Cohen Mouw and Warren Jacobson, on display until June 28. The artists will hang their exhibit today. The Art Reception will take place on Saturday, June 8 from 2-4pm. All welcome to visit this wonderful exhibit in the MNA Community Room. Please call the library for available viewing times. All welcome! The students of Joe Graziose will have a Piano Recital today. All welcome! Registration and fee are required. Registration is open for Locust Valley residents. Fee is due prior to the first class. Daniel G. Mazzola a certified CFA & CPA will be here to discuss and provide important information to potential retirees and their beneficiaries on Social Security. 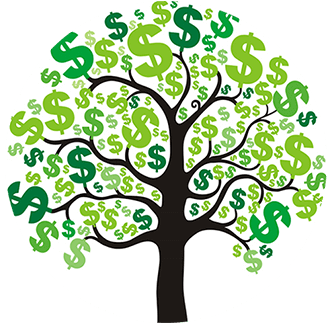 Attendees will learn how to optimize payouts using simple strategies. All are welcome to attend. Registration is required. Instructor Beth Polner Abrahams, Attorney at Law will have a presentation on the basics of elder law. Including Medicade, Medicare, legal documents, living trusts, power of attorney and more. The Art Reception for Stephanie Cohen Mouw and Warren Jacobson will take place today. The artworks of these local artists will be on display until June 28. The students of Margaret Corbett will perform in a piano recital today. There will be a mandatory meeting for all teen volunteers. We will discuss the responsibilities of a summer volunteer as well as other volunteer opportunities that are available. Enjoy pizza and a meet and greet with other teens after the meeting. Get your questions answered and your summer schedules settled at the same time. Register to attend this meeting when signing up to volunteer. Come out for this fundraiser and support your library! Mixed-up doubles tournament led by Tournament Director Steve Abbondondelo. In addition to great tennis there will be prizes, caps for all, refreshments, and tons of fun! The film is Moonrise Kingdom (2012) directed by Wes Anderson. The film is 94 minutes and rated PG-13. Summer Hours: Library Closed on Sundays starting June 16, 2019 thru Septebmer 1, 2019.